Transform your life with hypnotherapy, a holistic approach to wellness. What if an illness, financial crisis, or a nasty breakup is an opportunity to become stronger, healthier, happier and wealthier? It’s natural, normal and possible for you to be well, because at the core level of your being, you already are! Discover the power to choose the emotions you want which will alter your future experience. Connect to clarity in the midst of chaos, crisis and confusion so you make the right decisions. Replace anger, fear and worry with confidence, excitement and joy until it’s a habitual way of being. Learn to close the gap between where you are now and where you want to be. 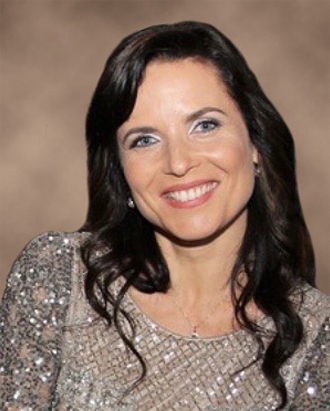 holds a Ph.D. in Natural Health Studies, specializing in Integrative Mental Health, and believes that there’s a power within you that is stronger than any challenge that life throws your way. She has... read more. What if there is more to this world, to life, than our day-to-day tasks, challenges and issues? What if there is more to us? What if there is another realm beyond the veil of our human consciousness that is standing by, waiting to assist us in every single nuance of our human experience? If you knew that, would you open your mind to welcome, accept and allow the unseen and unexplainable—the More—to take over your life? 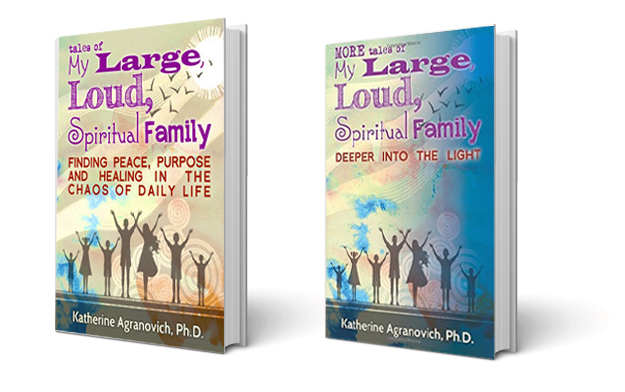 Tales of My Large, Loud, Spiritual Family and its sequel answer these questions. Join Dr. Katherine Agranovich as she recounts how she, husband Felix, and their five children continue to face both physical and non-physical trials and tribulations in the midst of everyday life.